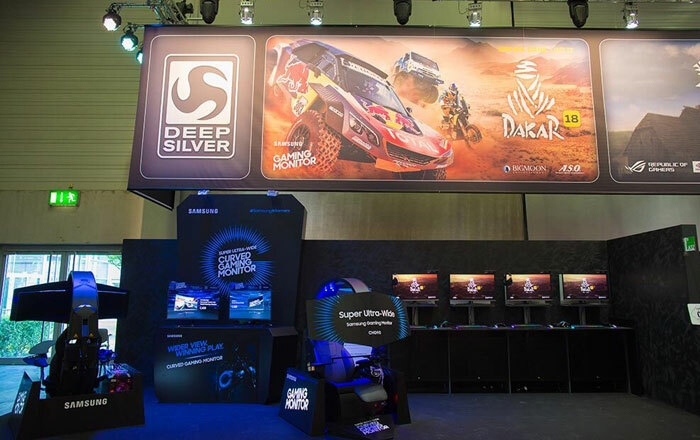 Samsung is at Gamescom 2018 and used the event to launch a new range of affordable but advanced and desirable gaming monitors. The new ultra-wide CHG90 monitors are on show at Samsung's 'Wider View. Winning Play.' booth in Cologne. Key features of these monitors 27- and 32-inch monitor are that they offer a WQHD resolution on a curved high-contrast VA panel with refresh rates as high as 144Hz, and they support FreeSync. 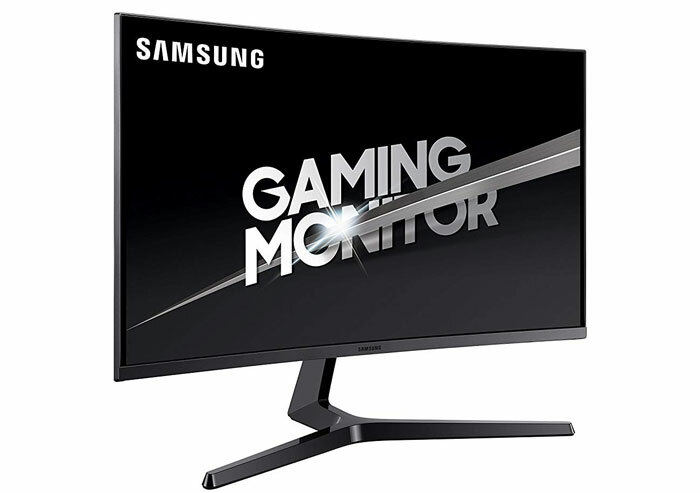 With these new gaming monitors Samsung says it has strived to include its premium technology at an affordable price. 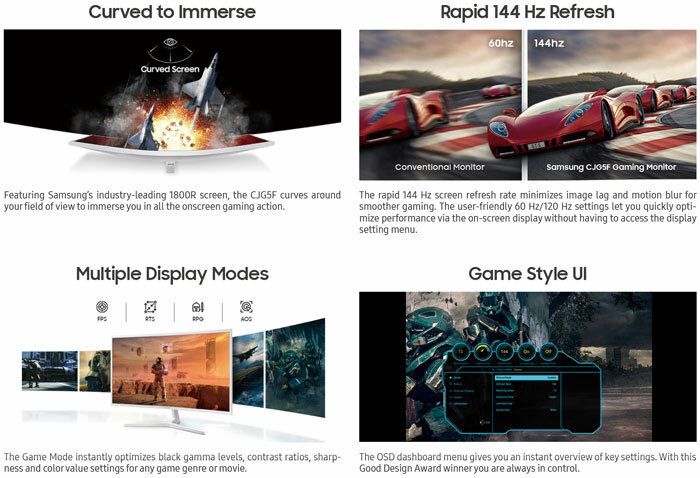 Seog-gi Kim, Executive Vice President of Visual Display Business at Samsung Electronics said, more specifically, that "With the technological expertise that we have accumulated throughout the years, we are making efforts to accelerate the gaming features such as 144Hz and high WQHD resolution, which will be appreciated by the mass market". The display panel that Samsung has chosen for these two monitors is of the VA type, offering deep blacks, good viewing angles and vibrant colours. It is an 1800R curved panel and Samsung makes it even more immersive by incorporating it into a three-sided bezel-less design. A simple tilting stand is supplied with Tilt -1.5°(±1°) ~ 15°(±2°) or you can use a wall mount (75x75mm). Samsung provides an external power brick to power this monitor. 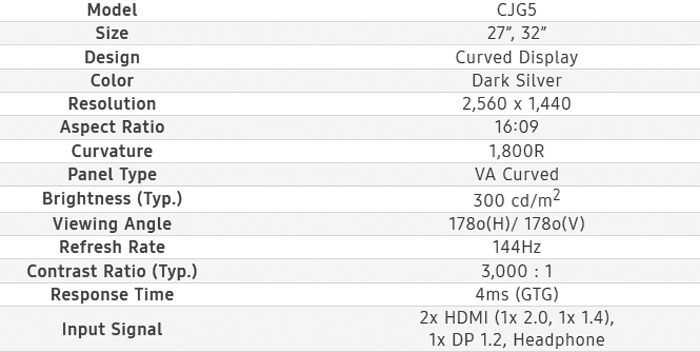 Above you will see no mention of FreeSync compatibility but luckily Samsung has already published a product page for the C32JG5 which confirms that the monitor is FreeSync compatible. On the topic of refresh rates Samsung provides a quick settings key to change between 60, 120, and 144Hz, so you don't have to take time clicking through the OSD menus. Other details shared but not included in the basic specs list are the available modes; Smart Eco Saving Plus, Easy Setting Box, Image Size, Game Mode, Low Input Lag, Flicker Free, Low Blue Light. There are multiple game modes too with custom settings for FPS, RTS, RPG, AOS or custom. Another feature that might appeal to gamers is the Game Style UI OSD dashboard. We do have pricing and availability details for you. Remember, Samsung claimed that these are affordable monitors, and you can pre-order the 27- and 32-inch versions now on Amazon UK for £309 and £359 respectively. Product release is scheduled for Friday 31st August. 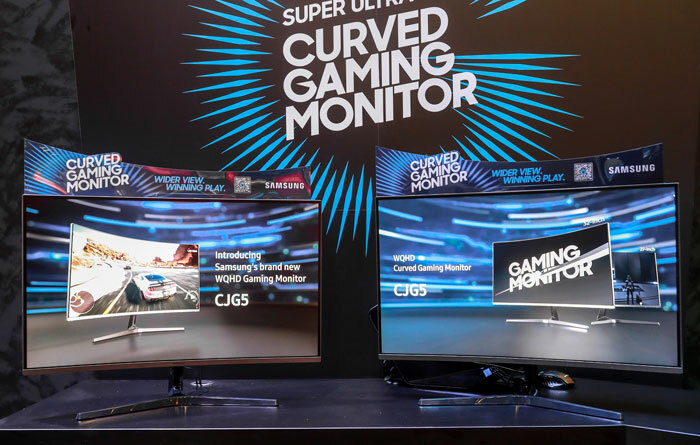 Samsung was also showing off its C43J89 43-inch 3,840 x 1,200 resolution 120Hz curved VA gaming display at Gamescom. I have this feeling Freesync is about to enjoy a huge advantage. Who wants to pay the premium for a new Nvidia card AND a G-Sync monitor when you can get a cheaper AMD card and Freesync monitor for around half the price? Is Nvidia twice as good? Nah. One for my shortlist I think. I returned my curved monitor as soon as I could. It's a <admin removed> gimmick with no benefits while having tons of downsides. I wonder if they've solved the flickering issue on their freesync displays.